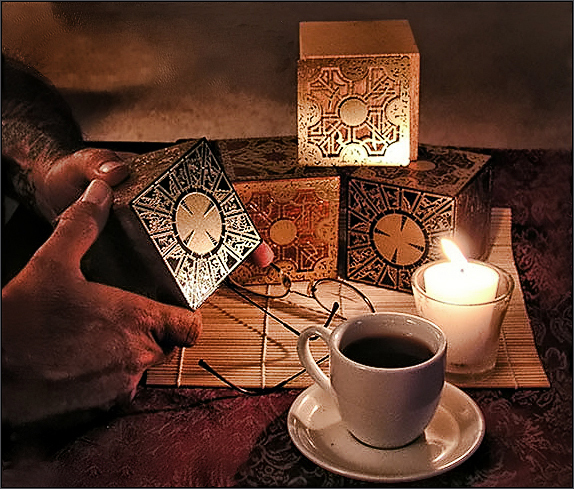 Larry Clark – Designer and Puzzle Box Maker, the builder of the replica puzzle boxes from the movie Hellraiser. Scribe of the historical documentation for the box design By/From Simon Sayce, Original designer of the box. Webmaster, designer and editor of this site. Simon Sayce – Original Design of the Hellraiser Puzzle Boxes, Mentor to Larry Clark for historical reference and design of replicas.